1) MIDI CC's are now supported for changing most parameters, with separate control over upper and lower voices. 5) MIDI timing messages no longer affect running status. 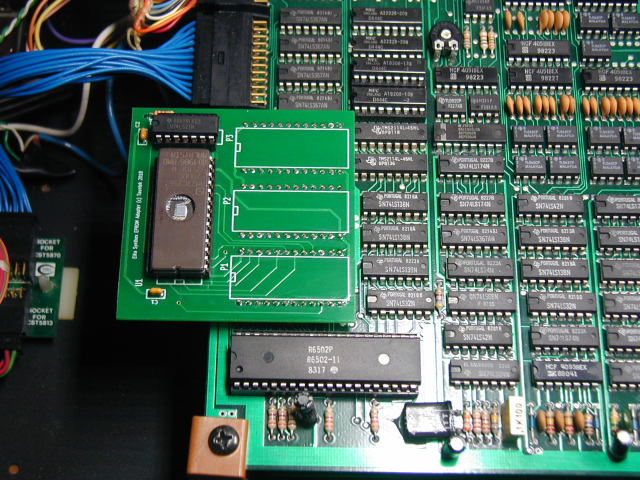 The board uses three DIP headers to make the connections to the Synthex EPROM sockets. The headers must be aligned perfectly with the sockets to avoid damaging the socket contacts or bending the header pins. The best way to insure proper alignment is to install the headers into the sockets first, and then solder the pcb onto them. I would prefer to offer fully assembled boards which could simply be plugged in, but this is the best way to avoid possible damage to the Synthex EPROM sockets, or bent header pins. Here is a CC map for the new firmware. Here is information on the sysex file formats, and here are instructions for assembling and installing the board. Please read the installation instructions before ordering. The code changes have been made carefully, and have been tested by four people so far. There is always a chance that some small bug may turn up, as more people use the new code. 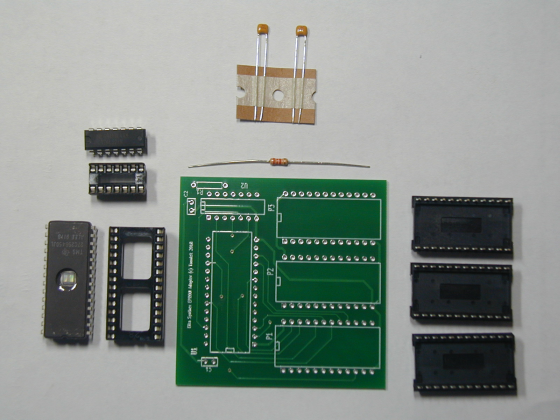 If it becomes necessary to send out a new EPROM in a few months, it will be provided at my cost, plus shipping. Price is $119.95 for a kit with the parts needed to install the new firmware, plus shipping. Please note: The information provided here is not guaranteed to be accurate. I will not be responsible for any damage to synthesizer circuitry caused by its use.